The dry vine stem of Polygonum multiflorum Thunb. of family Polygonaceae. Zhejiang, Hubei and Jiangsu provinces and so on in China. Without bad smell, slightly astringent and bitter taste. Coarse, even, and brownish red of surface and without leaves. Cut the vine stems, removed leftover leaves and branches, packed to bundles then dried in the sun, unprocessed. Nourish heart and induce tranquilization, dispel wind and unblock collateral. It has combining action of tonifying yin-blood, so it is fit for treating insomnia due to restlessness of deficiency, unsteadiness of heart-mind, dream-disturbed sleep caused by deficiency of yin-blood and loss of nourishment of heat-mind. 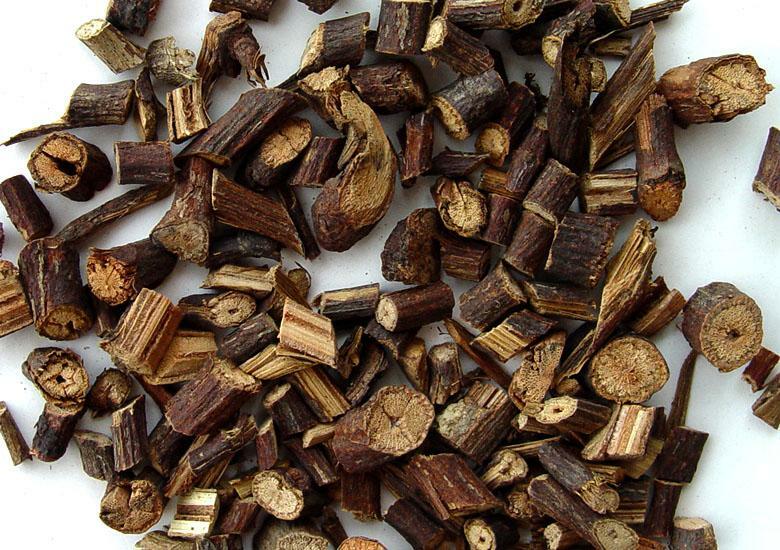 It is combined with heart-nourishing and tranquilizing herbs, such as Suan Zao Ren and Bai Zi Ren and so on. For insomnia lasting all night due to in deficiency with yang hyperactivity, it is often combined with yin-blood-nourishing and yang-subduing and tranquilizing herbs. For instance, it is combined with Sheng Di Huang, Bai Shao and Zhen Zhu Mu and so on. It has actions of nourishing blood, dispelling wind and unblocking collateral. For aching pain of limbs due to blood deficiency and numbness of muscle and skin, it is often combined with blood-tonifying and blood-activating herbs and collateral-unblocking herbs. For instance, it is combined with Ji Xue Teng, Dang Gui and Chuan Xiong and so on. It is used as adjunctive herb to treat wind-damp arthralgia, so it is often combined with wind-damp-dispelling herbs. It has actions of dispelling wind and relieving itching. For itching rash of skin, it is used singly for washing or combined with wind-dispelling and itching-relieving herbs. For instance, it is combined with She Chuang Zi and Di Fu Zi and so on. Decoct 9~15 g. Take proper dose for external application.